Sign up to be a part of one of the many campus projects. Shifts available to alumni, students and friends of UTSA. Can't make the event? Donate below to help purchase supplies. 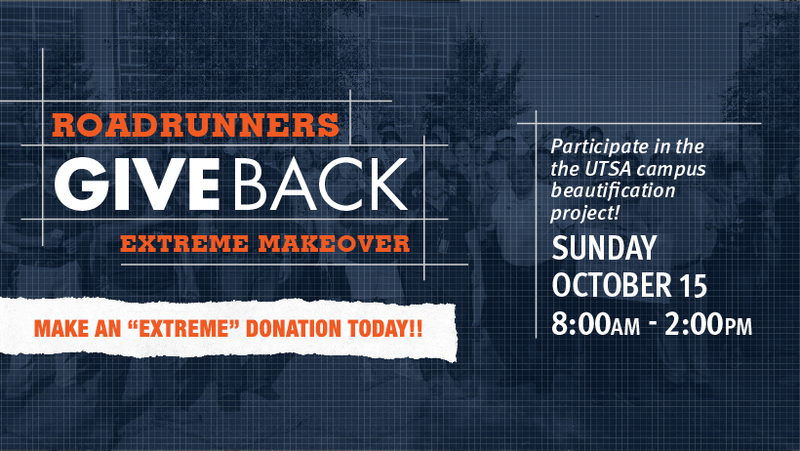 Every year at Homecoming, the week starts off with a volunteer event called Roadrunners Give Back: Extreme Makeover. For one day teams work on different wish list beautification projects across campus. Your donation will go towards purchasing supplies to help with these projects.